The benefits of reading with children while they’re young are endless. 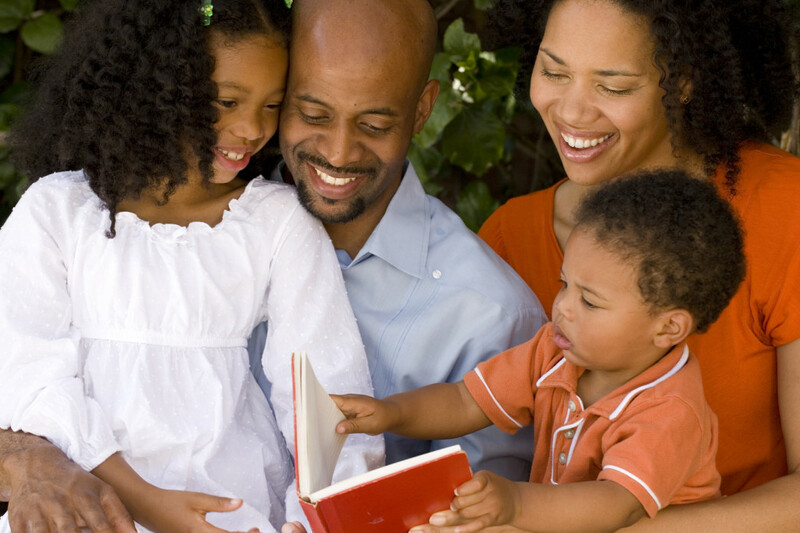 Reading together is quality time where your child has your undivided attention. Building a bond over a love of learning through reading can have lasting effects on their lives. Build their confidence in their ability to read by being right alongside them as they develop this skill. Here are some ways to help your child enjoy reading. Take as much or as little time as they want. Some days, they’ll ask for more stories, and others they’ll lose interest before the story is over. What’s important is getting them in the habit of reading, not necessarily reading a set amount of stories each night before bed. If a story doesn’t interest them, help them choose another one; there’s no need to keep reading a story they don’t like. Repetition is okay. While you may be tired of reading the same story aloud every night, there’s nothing wrong with the fact that your child wants to hear it on a loop. In fact, if they’ve heard it so many times that they memorize it, encourage them to “read” it to you–even if they can’t read yet. Change it up. While you read, ask questions that spark your child’s imagination and engages her in the story. When reading new books, ask them what they think will happen next. Point at animals on the page and ask them what sound the animal makes. Get them their own library card. A library card can help a child put into context how valuable reading can be. Trips to the library where they pick out any book they want, and check it out with their own card gives them a sense of responsibility and importance. Show them how a library card is like a one-way ticket to wherever in the world they want their minds to wander! This entry was posted in Healthy Habits, Parenting and Families. Bookmark the permalink.